I was recently working with a student to help them remember shape words (quadrilateral, pentagon, hexagon, etc). When we got to “octagon,” we somehow came up with this drawing and it seemed to really click with him. So I snapped a (rather lame) picture of our drawing in hopes that this idea might also help another student out there somewhere. How do you help your students remember these shape names? 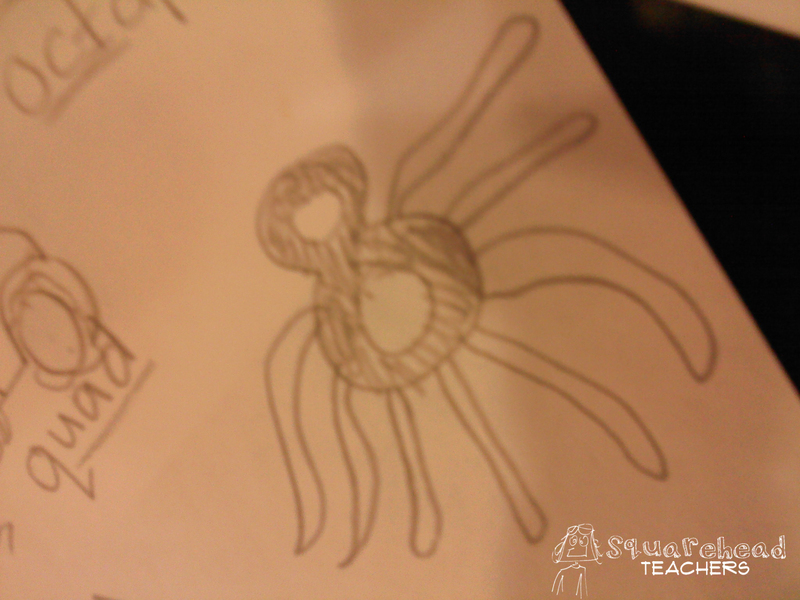 This entry was posted in Math and tagged Children, Education, Elementary School, Homeschool, Kids, Math, octagon, octopus, shapes, Teacher Resources, Teachers, Teaching by Squarehead Teachers. Bookmark the permalink.